Rep. John Conyers Resigns Effective Immediately - Joe.My.God. Representative John Conyers Jr., who faces allegations that he sexually harassed former employees, announced Tuesday that he will leave Congress immediately, and he endorsed his son, John Conyers III, to replace him. 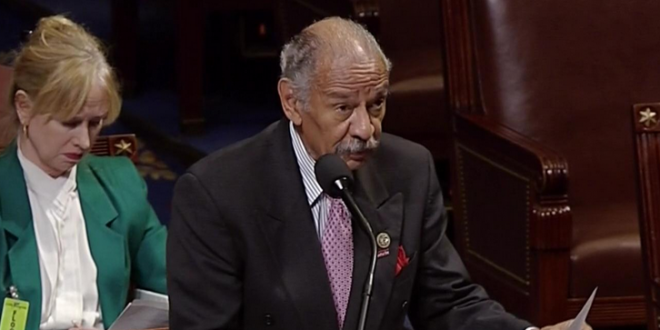 Mr. Conyers, the longest-serving current member of the House and the longest-serving African-American in history, called into a local radio show on Tuesday to break the news. “I am retiring today,” Mr. Conyers said from a hospital in Michigan. “I am in the process of putting together my retirement plans. I will have more on that soon.” He continued to deny that he has harassed any of his former employees and said he did not know where the allegations came from.